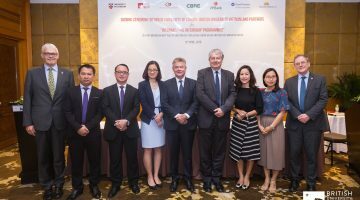 Hanoi, April 4th, 2018 – British University Vietnam (BUV) officially welcomed new General Director – Professor. 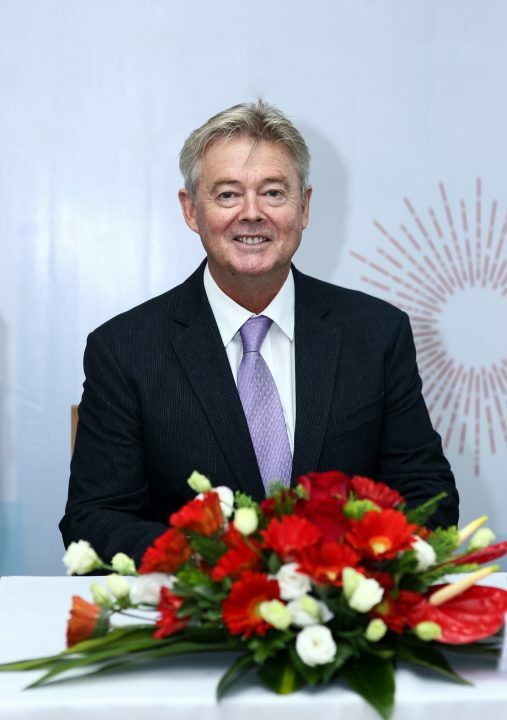 Raymond Gordon- who will continue to lead BUV as an ambassador of British education to Vietnam. Professor Raymond Gordon is an experienced education leader and researcher, holding various high-level positions in educational organisations and associations in the Asia-Pacific region, as well as leading many of the award-winning research projects of the Academic Management Institutes in Australia and New Zealand. He comes to BUV with two decades of senior management experience, teaching and research at major international universities around the world, including University of Technology Sydney (UTS), University of Newcastle, University Western Sydney (Australia), State University of New Mexico (USA), Copenhagen Business School (Denmark), and RMIT Vietnam. In addition to his contributions to the education sector, Professor Gordon has been a senior executive in various fields such as electrical engineering, service operation management, distribution channel and marketing management in Australia, UK and USA and many other Asian countries for 20 years. Speaking about the vision of BUV, Prof. Gordon commented that “BUV is well positioned and poised for growth. 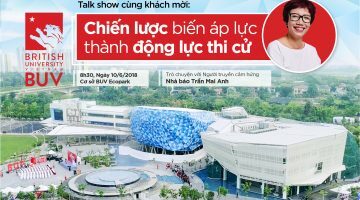 BUV’s new Ecopark campus in Hanoi is architecturally stunning and embedded with the latest by way of learning technology. 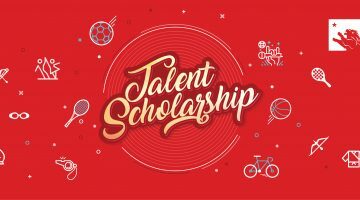 Students will receive a learning experience that will enrich their development and prepare them for work”. 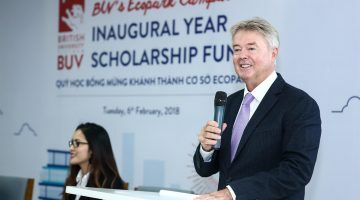 2018 is a year of change for BUV after nearly a decade of operation in Vietnam. 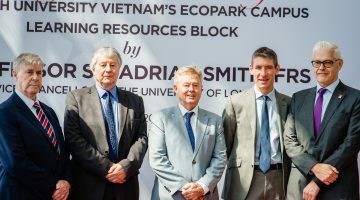 To celebrate the inauguration of the Ecopark Campus Phase 1 this year, British University Vietnam officially announced the ‘BUV Ecopark Campus Inaugural Year Scholarship Fund’ with a value of up to 34 billion VND for Vietnamese students with excellent academic records and gifted talents in many fields. 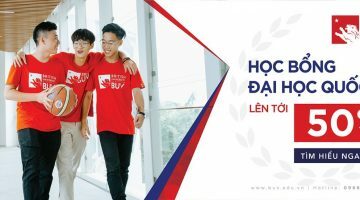 With this new campus, BUV continues to affirm its position as the leading international university in Vietnam, providing international standard education and training for aspiring and ambitious Vietnamese students. 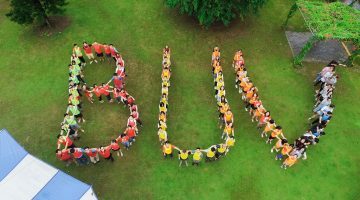 BUV focuses on developing graduates into high achievers who are work ready, which is evidenced by our 100% graduation rate and 100% employment rate, three months after graduation. 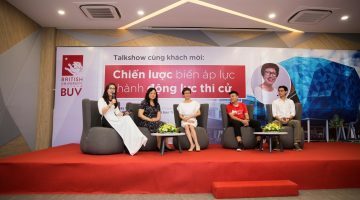 BUV has been striving to realise its targets and make a long term contribution to Vietnam, having invested 11 billion VND in the development of education in Hanoi in 2017 alone, attracting the appreciation of the Hanoi People’s Committee. 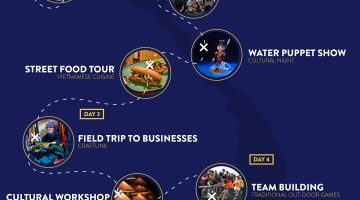 BUV will continue to receive the ‘Golden Dragon Award’ as a result of this, for the sixth consecutive time in a row. 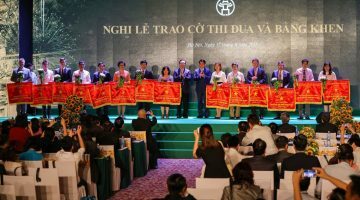 This is an annual award honoring foreign-invested enterprises in Vietnam who have achieved outstanding results and contributed positively to the Vietnamese economy.